We were in our dinghy exploring the anchorage at Matt Lowes Cay, where we had just put the hook down. 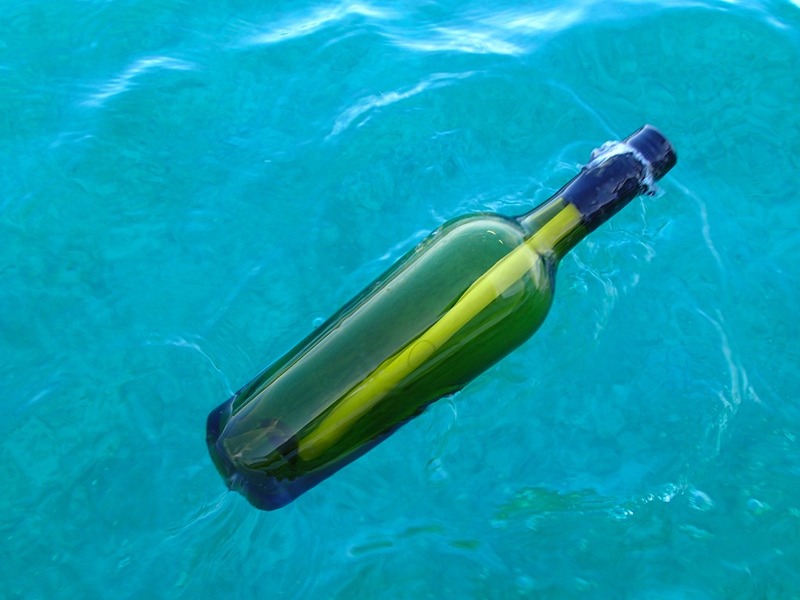 And sure enough, there was a floating bottle with a long skinny note inside. Somehow it had successfully navigated – intact and floating — the islets, coral rocks and shallows that separate this anchorage from the Sea of Abaco. The green wine bottle’s screw top was doubly sealed with plastic wrap. The note inside was tightly rolled, neatly taped, and perfectly dry. Unscrolled, it revealed these words and more, carefully printed on both sides. Included were the lat and long from the start of its voyage, somewhere west of the Parrots and upwind from the anchorage, and a request to write to an address in Maine. No date. So we added the lat and long of its discovery, then re-rolled, re-taped and re-sealed it in the wine bottle. 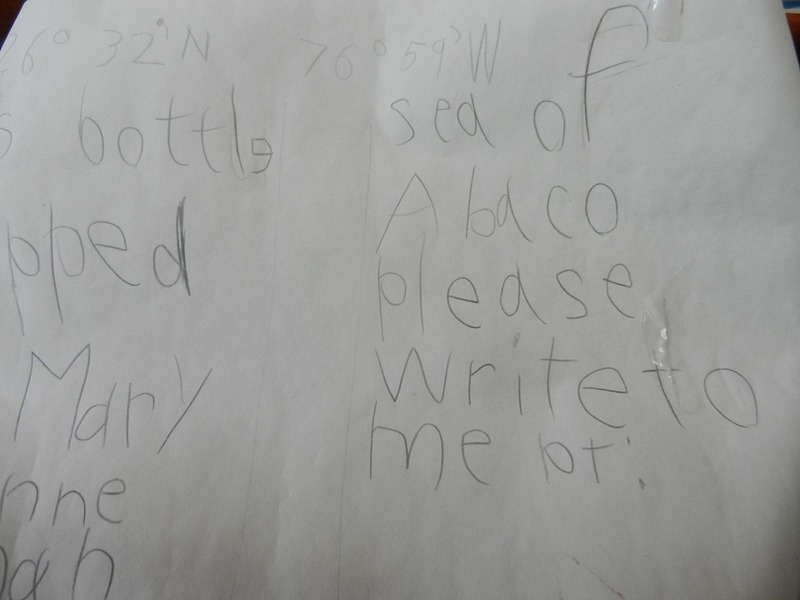 We dropped the bottle back into the Sea of Abaco at Point Set Rock, to give it another chance at discovery. And today I am sending a note to Maine. Thanks for the comment. Love you. wow, this is so awesome and fun! please share about if you hear back from the message! Love this stuff!